Purchase Adorned and Letters to My Daughters together at a special savings. The Titus 2 model of older women living out the gospel alongside younger women is vital for us all to thrive. It is mutually strengthening, glorifies God, and makes His truth believable to our world. Imagine older women investing themselves in the lives of younger women, blessing whole families and churches. 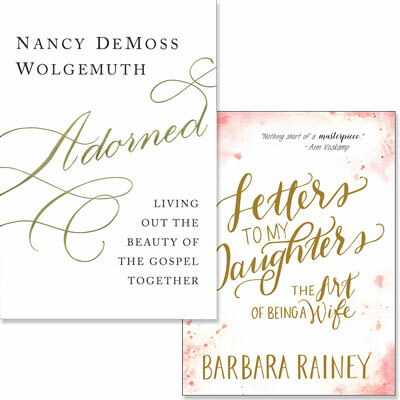 Imagine young wives, moms, and singles gaining wisdom and encouragement from women who’ve been there and have found God’s ways to be true and good. Imagine all women—from older women to young girls—living out His transforming gospel together, growing the entire body of Christ to be more beautiful.